Happy Fourth of July! In honor of this patriotic holiday, I wanted to bring you a bonus episode honoring military families. Once I became a military spouse and becoming a part of this amazing community, I developed a newfound appreciation for the sacrifice and strength of these families that are called to serve. It’s not just about the men and women in uniform, it’s a sacrifice for the whole family. So thank you to all those who serve and allow me to live in this free nation. 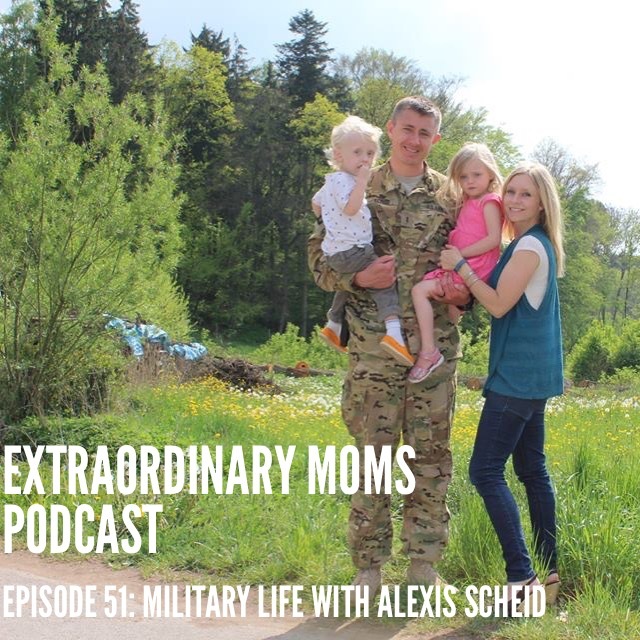 Today I’m talking with my friend Alexis Scheid, who is an Army wife and mom of four little ones. 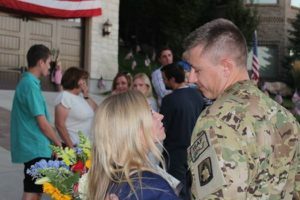 She epitomizes the definition of an amazing military spouse, as someone who has been forced to move several times, including an overseas move to Germany, survived solo parenting as her husband was deployed multiple times, and even faced the prospect of giving birth while her husband was deployed. 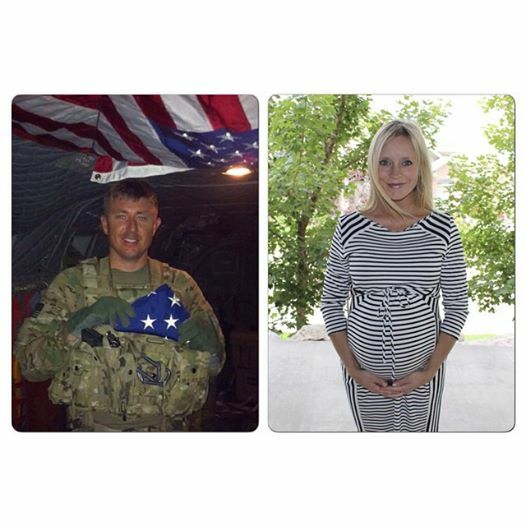 She is strong, she is optimistic, and she is proud of her husband and the work these soldiers do. I loved chatting with Alexis, and you are going to love her too. Baby Bode just a few days after our interview! Watch the video of Sam surprising Alexis a few weeks before she was due to give birth to their third child.